Concerned Consulting Engineers South Africa (CESA)’s Young Professionals Forum (YPF) are in solidarity with the students at tertiary institutions across the country in their fight against exorbitant fees and fee increases. 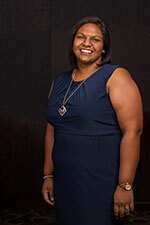 CESA YPF is worried about the inequality that is eating away at the fabric of our society. The success of the national #FeesMustFall movement has demonstrated the power of focused engagement in bringing about positive change. Consulting Engineers South Africa (CESA) is alarmed by the continuing water and sanitation challenges at Madibeng Local Municipality, in North West. The challenges were witnessed during a recent site visit by the Portfolio Committee on Water and Sanitation, who considered them to be symptomatic of the challenges across the country. 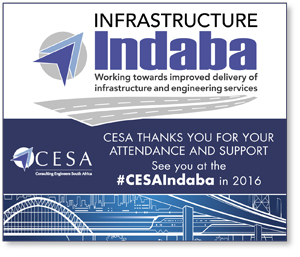 Consulting Engineers South Africa (CESA) has rebranded its annual conference to the CESA Infrastructure Indaba. CESA recognises that the conference is a tripartite alliance between the 3C (Consulting Engineers, Contractors and Clients), all working together to improve the quality of life of our people. Consulting Engineers South Africa (CESA)'s Bi-Annual Economic Capacity Survey (BECS) from January to June 2015 just released indicates that fee earnings increased by around 1.2%, against an expected decrease of between 3% and 5%. Some of the larger firms did better than expected, although several firms still reported negative growth in the first six months of the year. This follows a marginal contraction of 0.7% and an increase of 6% in the previous two surveys. Respondents expect earnings to fall by between 2% and 3% in nominal terms during the last six months of 2015. 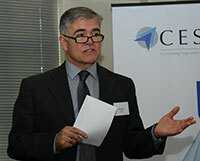 CESA has about 537 members firms employing 24 366 personnel. 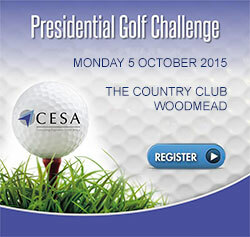 Please register now for the CESA Presidential Golf Challenge to be held on Monday 5 October at The Country Club, Woodmead, Johannesburg. 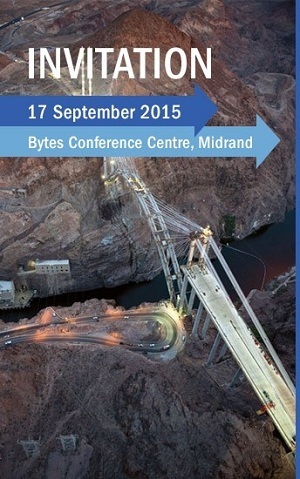 You're invited to join the CESA Quality & Risk Management Committee on 17 September at a Seminar on more than 84 Practice Notes, which have been issued for guidance to Consulting Engineers over the past 20+ years. In a celebration of innovation, quality, outstanding workmanship and professionalism in the consulting engineering sector, Consulting Engineers South Africa (CESA) held its prestigious CESA Aon Awards Gala Dinner at Vodacom World in Midrand on the 12th August, 2015. It was a feast of engineering talent and reward an explosion of innovative engineering solutions, celebrating excellence in basic service delivery to our people. Deputy Minister in the Presidency Buti Manamela will be giving a keynote address at the 3rd Annual Young Professionals (YPs) Sustainability Imbizo to be held on the 11th to 12th August at the Premier Hotel in Kempton Park. The Sustainability Imbizo is the brain child of Consulting Engineers South Africa’s YPs aimed at empowering them with the best leadership experience embracing general aspects of leadership, community activism and engineering professionalism. In order to showcase the quality, innovation, outstanding workmanship and professionalism of the Consulting Engineering industry, Consulting Engineers South Africa (CESA) hosts jointly with Aon South Africa, a prestigious event known as the 'CESA Aon Engineering Excellence Awards'. CESA and Aon are proud to host this annual event as a platform to showcase the outstanding achievements of the CESA member firms. The Awards focus on consulting engineers and their clients who initiate and fund projects that promote the advancement of our nation and the people of the continent.